January isn’t the busiest month of the year. It’s not just that the winter slows everything down. The December revelries often leave us with depleted budgets and depleted stores of happiness neurotransmitters, which only adds to the bluey feeling of January. What’s the best way to deal with that slump in activity? Working out might help you on a personal level. On the business level, however, this period of quiet can serve as a great period to assess where you are and chart where you need to get. If your business has a website — and what business doesn’t in this day and age? — January might be the perfect month to assess it, perform some minor updates, and plan for major ones. Here’s a handy checklist for some of the things you should look for. It’s incredible how many things can change in a year, and how big the differences can get. You can have whole lines of products you started or stopped selling. You might even change your business’ industry completely, change some of the staff in your business, or change the office space. If your website holds any of the information that went through a change in the past twelve months, you should update it. This means going through every page of the website with a fine-toothed comb in search for inconsistencies. It’s a tedious task, but it needs to get done. A website can only be as good as its hosting. Well, that’s not completely true, but bad hosting is something that can derail your website and completely ruin otherwise good optimization or content effort. But websites cannot exist without hosting, so make sure yours is paid for the time being. If you want to change your plan, or even migrate the website, January is a good time to do it. While you’re renewing things, make sure you update your website’s copyright notice. That’s one of the easiest things to do and also one that website owners routinely overlook. Websites can be pieces of art. Usually, however, they are means to an end. Your business has a website so that people can find your business online. It’s there to catch leads. It’s there to serve as a proof of existence of your business. It’s there to sell things to your customers. It can be a virtual storefront or a full-fledged online store. Whatever the goals your website needs to achieve, there needs to be a strategy that underpins it. A strategy can contain anything from search engine optimization to pay-per-click advertising to content marketing. These are the things you do to help your website perform the tasks entrusted to it. January is a great time to review any strategy you employ, tweak it, or change it completely. Chances are that you’ll want to put more emphasis on content because everyone seems to be doing it, and you can especially start thinking about adding more video content to your website and other assets. And that’ll give you plenty to keep you busy in January. Websites get stale. Design trends change, and if you try to wait them out until they conform to the look of your website, you’ll end up with an online asset that’s hard to navigate, anachronous, and pretty much useless. But even the smallest hint of neglect of the visuals can lead to significant issues in certain industries. In those that aren’t so visual-centered, January is still a great time to give the visuals a refresh. Think about it as a fresh coat of paint in your apartment. 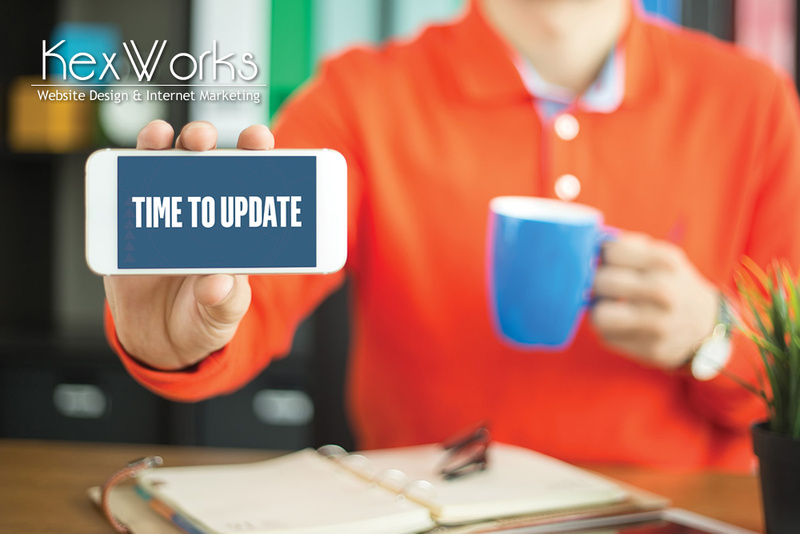 Of course, if you have the time, the money, and experienced contractors, January can be just the time to perform a full reworking of your website. Out with the old, in with the new! Why shouldn’t your business have a website that’ll have a place in those articles that list interesting or well-designed websites? The January lull is the perfect time to show your website some love. Websites are important parts of business today, and if you invest wisely into them, they will give back. So make a plan that fits your budget, and set a course for a better, prettier, and more functional digital 2019!